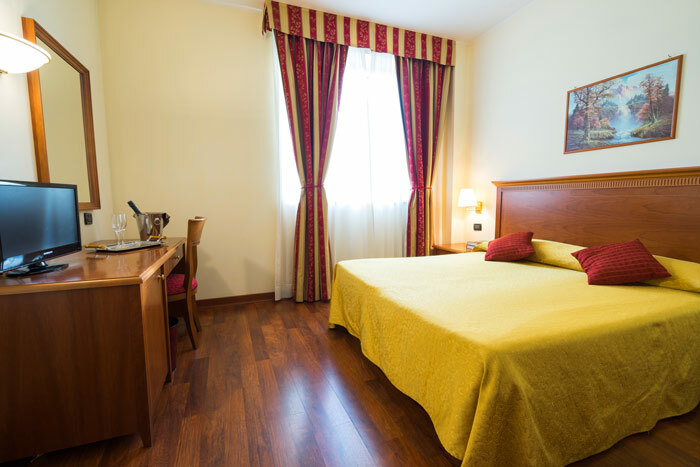 The standard rooms (including four for disabled people) are elegantly furnished in order to make the stay of our guests as pleasant as possible. 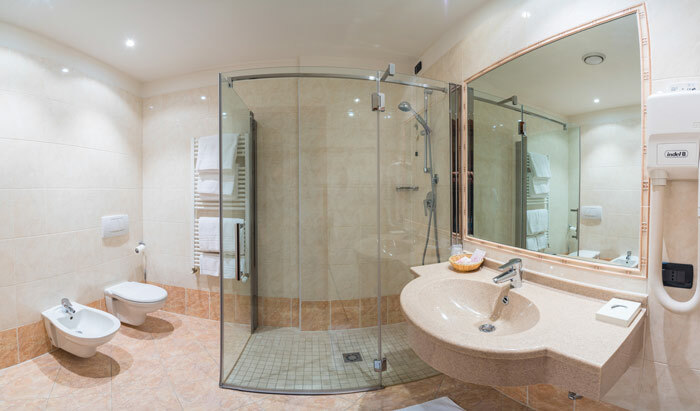 Every room has a “building automation” system, which offers the guest the chance to set autonomously the temperature of the room. 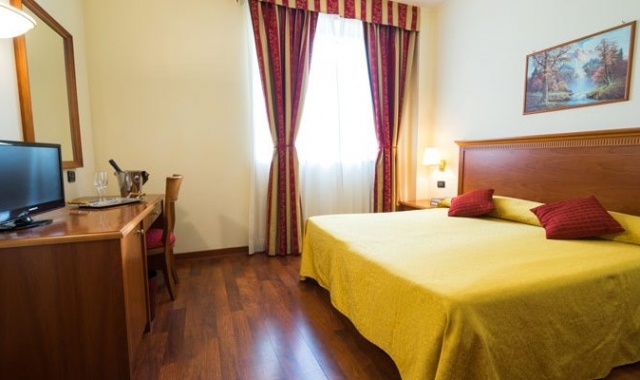 The rooms, each with hardwood floor, vary from 16 to 20 square metres (+4 square metres for the bathroom) and each of them offers a telephone, free Wi-Fi and LAN connection, a digital safe, a minibar, a 22’’ television with Mediaset Premium, Cinema and Sport and the most important international channels. The parking is free and guarded, moreover is suitable for buses and lorries. 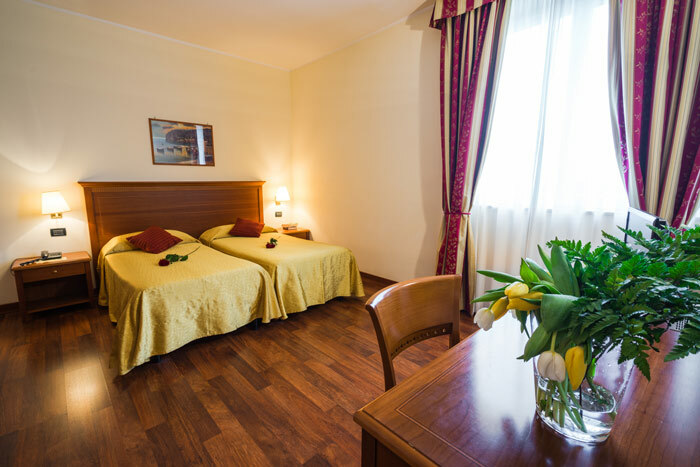 In addition, our guests can choose the underground parking for a small price. A badge reader will also allow our guests to return their car any time of day and night. The underground parking has also a direct access to the elevator and to the room. 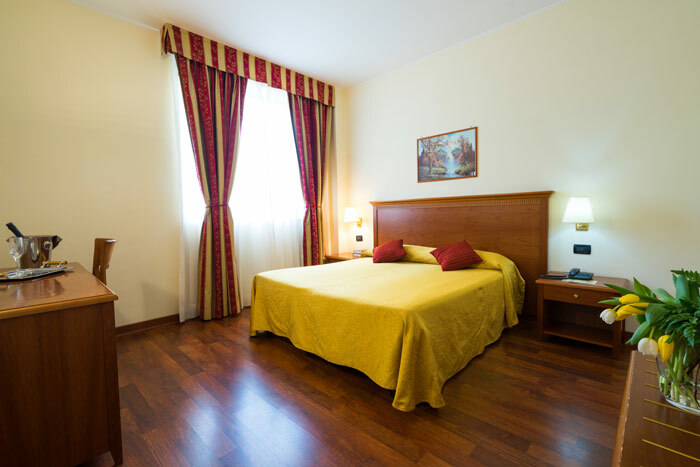 Rooms can be double, twins and with three beds (separated or double + single). Moreover, it is possible to add a crib or a cot for kids. 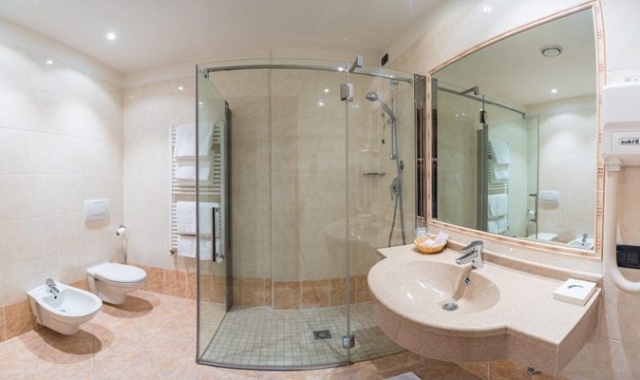 The bathrooms of the standard rooms (4 square metres approx.) 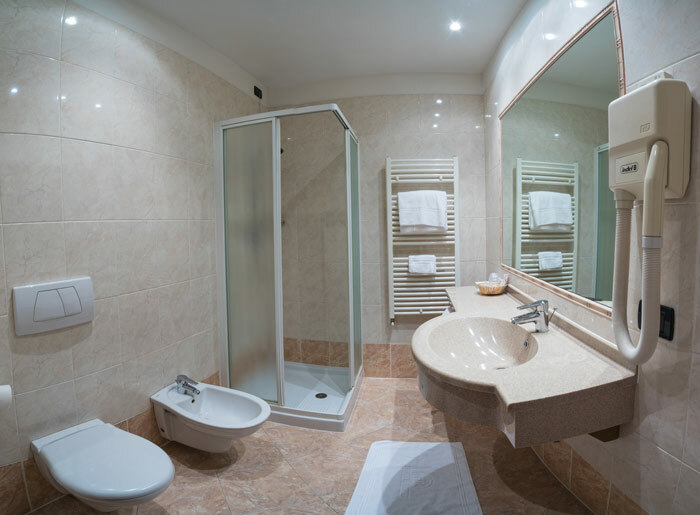 all have a large marble sink, a shower (some a bathtub), bidet, toilet, a towel warmer, hair-drier, a stool and the courtesy kit.